When you think of granite what are some words that come to mind? Stone? Makes sense. Durable? Still reasonable. Countertops? On a roll here. What about hygienic? 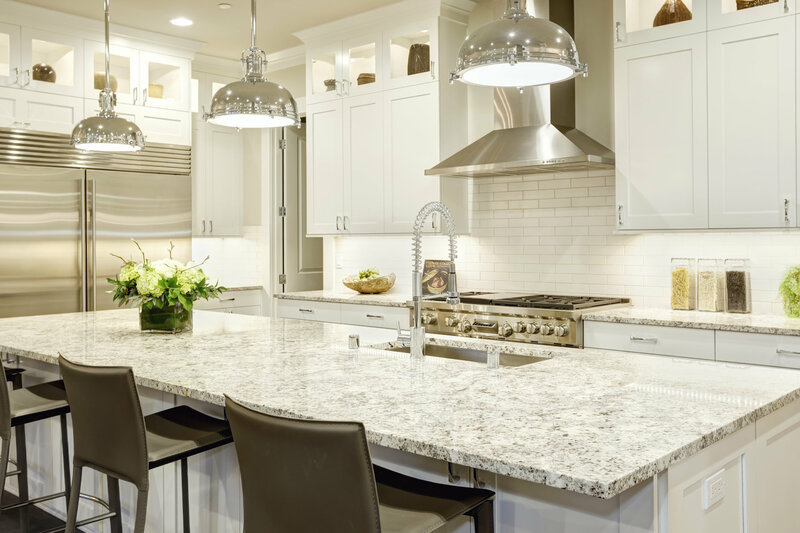 Have you ever wondered why granite is the preferred stone for countertops? It seems like every kitchen renovation incorporates this resilient material in some way. It used to be synonymous with status and quality, but today has become the “standard” for several reasons including perceived stain-resistance, scratch-resistance, and bacterial-resistance (really!). While there are good reasons to consider this a the kitchen counter surface of choice, there is a little bit more to the story to capture this reality in YOUR home. It makes sense to use a naturally bacterial-resistant material in an area that comes in contact with food—like your kitchen countertops. But how do you keep this high-traffic surface looking new? When it comes to granite, being proactive is best. Don’t make the mistake of thinking stain-resistant means stain-proof. Spoiler: it doesn’t. That is an expensive lesson we can all avoid with ease. Knowledge is a powerful thing…. If you get it in time. While the low porosity of granite makes it a difficult stone to damage, it can still be if proper care isn’t taken. This includes regular maintenance, sealing, and prompt cleanup of spills. Here a few expert tips to keep your granite countertops looking their best. Never prepare food directly on your granite surface (especially acidic foods like citrus fruits). Granite is a hard stone but run a knife over it enough times and it’s sure to take some damage. Do yourself and your surface a favor: always use a cutting board. Citrus and other acids are even more incidious. Granite itself is NOT acid sensitive, but it is naturally porous. In fact, your counter was likely either sealer or infused. That’s the good news. 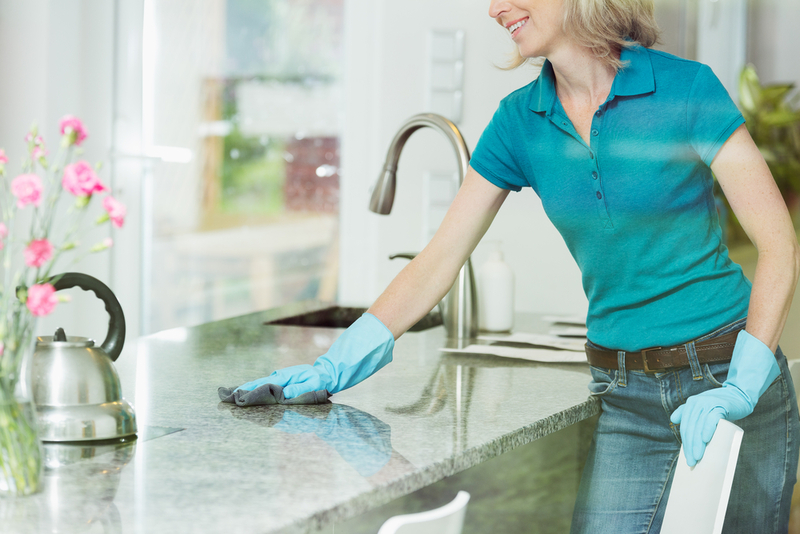 The bad news is that most granite sealers are acid sensitive and in the presence of a strong acid will breakdown and then be wiped away over time during your clean-up. Before you know it your counter is not longer sealed and available to being stained. Net result sharp objects and acids should remain on a cutting board. You should always take the time to wipe down any surface on which you’ve prepared food. 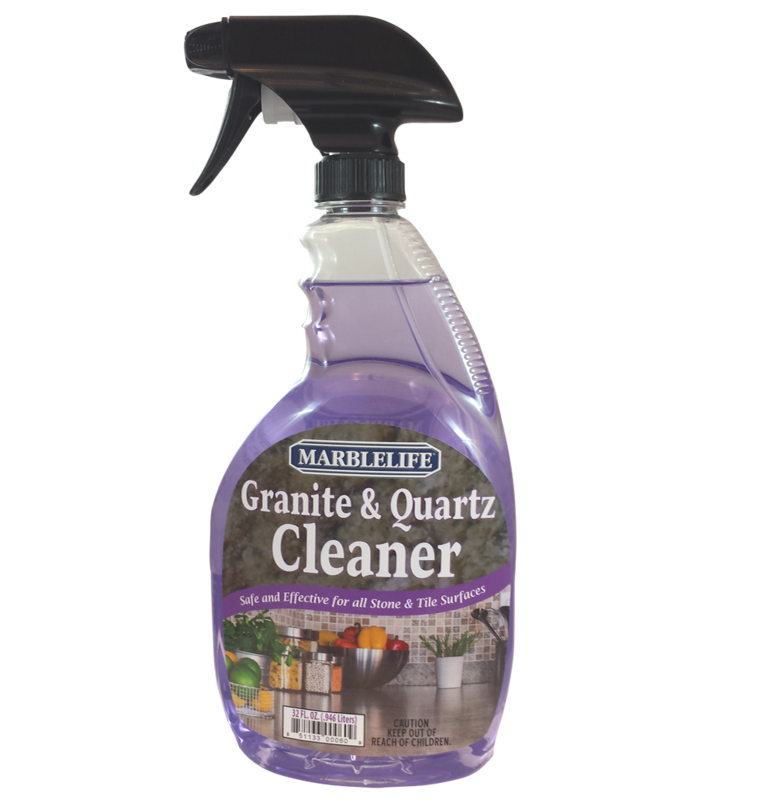 For granite this can amount to warm soapy water, or (preferably) a stone-safe and non-abrasive cleaner like MARBLELIFE® Granite Countertop Cleaner. Soap and water will not hurt your granite but can leave behind streaks hidden by the variegated appearance but viewable if you were to laydown a hand mirror and clean in the same manner. This soap remnant remains to come in contact with your food later. Rather consider a product designed to leave a streak-free performance because it is engineered to lift oil and remove dirt by making it water loving. The mirror doesn’t lie. Streak-free. While granite doesn’t need to be sealed as often as more porous stones (marble, travertine, etc.) it still benefits from regular treatment. Sealing is necessary to maintain a stain resistant surface. As noted above, acids found in drinks, foods, and some cleaners will breakdown your seal unless periodically replenished. That said, selecting the right sealer is your next decision. You want a penetrating sealer. Not a topical. A penetrating sealer is engineered to seep into the small pores to seal them up, whereas a topical as the name implies will sit on top of your surface. You purchased a hard beautiful surface, the last thing we want to do is to modify its wear resistant surface or hide it behind a wax or oil. A penetrating sealer such MARBLELIFE® Granite Countertop Sealer is a simply wipe-on-wipe-off application product. Wipe it on, wait a few minutes for it to seap in, and wipe off any excess remaining on the surface. Just like that you are done. Chances are you didn’t choose granite because you were looking for a lackluster surface. Keeping your granite at peak shine generally means keeping it free of waxes and oils. Be wary of products claiming to shine while they clean, as these offerings are depositing a wax which will build up over time until you finally need a professional to remove it because like waxed floors they eventually take on a dull appearance. If you are concerned your counter is not at its peak there are temporary gloss aids such as MARBLELIFE® Granite Countertop Gloss Conditioner designed to get you through that dinner party. But really, this is the best time to reach out to a professional for some advice, as the reason a hard surface such as granite becomes dull, is generally not associated with wear (unless that party included dancing on the counters, in which case we want an invite), but is usually associated with a topical build up that needs to be cleared to restore your stone’s beautiful appearance. Save when you bundle by purchasing our complete MARBLELIFE® Granite Countertop Clean & Seal Care Kit to make sure you have everything you need to keep your countertops looking great. 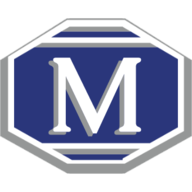 For any other granite countertop-related questions, feel free to contact your local MARBLELIFE office and an experienced stone craftsman will be happy to help. Stunning Results Guaranteed – Safer, Quicker & Easier, Healthier, Odor-free, Eco-Friendly and Made in America. The most effective and gentle cleaner developed for Granite & Quartz Countertops. Easily remove years of residue left by other cleaning methods.